You'll begin with a little history of the synthesizers and the basics of how use them. Learn the functions of oscillators, filters, amplifiers, LFOs and envelopes. Next, you'll apply your knowledge to the Subtractor, Malstrom, and Thor. Then, you'll explore sampling and how to work with the sample-based instruments in Reason, such as the NN19, NNXT, and the Dr. Octorex. 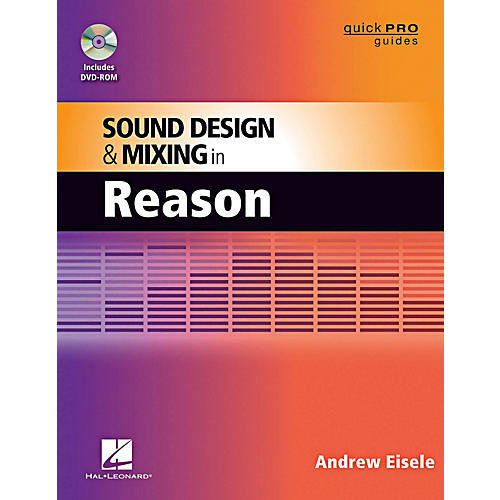 In the next section, you'll look at some advanced routing techniques, followed by an in-depth look at Reason's multitude of effects Processors. Finally, you'll build up an arrangement while practicing some advanced mixing and mastering techniques.